Seale Pylate practices in the area of employee benefits and executive compensation in the firm's labor and employment section. She works with plan sponsors in the areas of qualified retirement plans, nonqualified deferred compensation plans and plans sponsored by governmental and tax-exempt entities. She also works with health plan sponsors on matters related to compliance with health care reform and other federal laws. 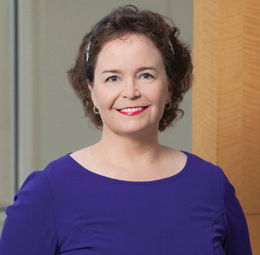 Her practice is largely devoted to working with employers to implement documentary and procedural changes required by ERISA or the Internal Revenue Code, such as applying Code Section 409A to nonqualified deferred compensation plans and ensuring compliance with evolving fiduciary standards. Ms. Pylate assists plan sponsors in conducting compliance reviews as well as day-to-day transactional advice. Representation of large bank holding company with respect to all benefit matters, including pensions, welfare, and defined compensation matters. Representation of nonprofit hospital system in connection with changes to qualified plans. Representation of mid-sized and large employers in connection with compliance with health care reform.